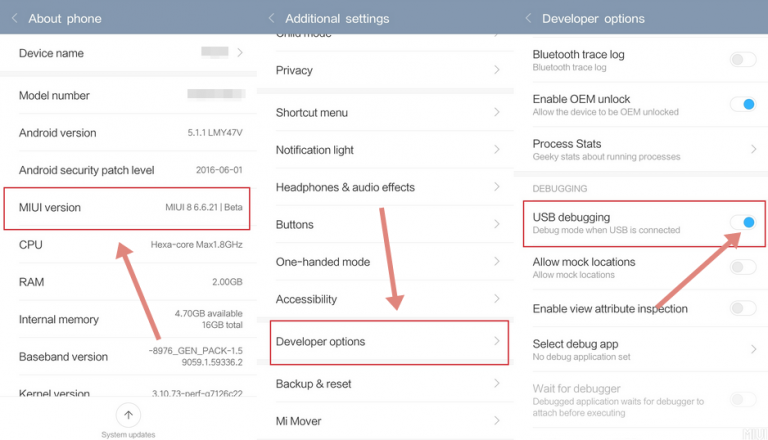 lot of peoples were asking for how to How To Enable USB Debugging on MIUI 8/9 & other versions. So in this post, I have written step by step guide with proper screenshots. This is the simple guide for those who already know about USB Debugging and Developer Options. If you didn’t know about this anything then this guide will be useful to you. It works on almost every Xiaomi Devices including Redmi Note 3, Redmi Note 4, Xioami Mi 5, 5C & remaining devices. 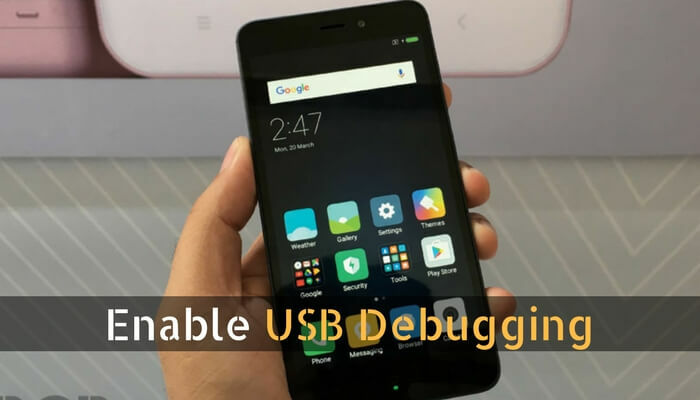 Why do You need to Enable USB Debugging on your Xiaomi Device? You need to enable this when you have to unlock bootloader of your device, Want to install twrp recovery or custom recovery on your phone.Also, When you want to Install Custom ROMs on your Xiaomi device. And there are many features also available in Developers Option. We need to enable this to follow ADB & Fastboot Commands. 1. Open Setting of your Xiaomi device. 2. Go to About Phone. 3. Tap 7-8 Times on MIUI Version. Until it enables Developer Options. 4. Again back to Settings & Choose Additional Settings. 5. Now Select Developer Option. 6. Scroll Down & Enable USB Debugging by sliding that button. 7. Also, Enable OEM Unlock if you want to unlock bootloader of your Xiaomi Device. That’s it! 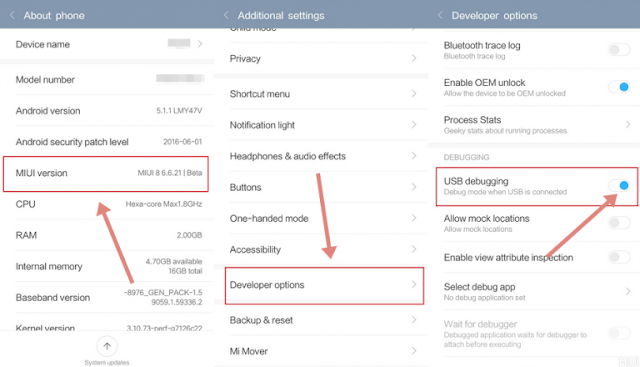 You have successfully enabled the USB debugging in MIUI 7/8/9. Now you are able to use ADB Commands & you can use this for further Android Development. So this was the Simple guide to How to Enable USB Debugging on Xiaomi Phones with proper screenshots. If You like this don’t forget to Share on Social Media. Also, Do use of that Comment Box with your feedbacks.